Urban style and a contemporary look are at the heart of the new accessories & footwear spring/summer 2018 collection by Replay. For men: essential and clean lines are the distinctive features of our backpacks and bags fitted with black leather handles and designed for everyday work use. In particular, the backpack is practical and trendy and is confirmed as the must-have accessory of the new season. The iconic Sea Move is renewed with the introduction of two new premium models with a vintage flair: indigo denim and canvas with leather inserts. For the SS18 Replay also features a sporty-inspired line in black faux leather with contrasting white logo, comprising weekend bags, shoulder bags, beauty cases and Ipad cases. Fabric backpacks with central pockets, Zip fastening and contrasting black bands get a whole new range of colours and are available for the new season in the camouflage, light grey and tone on tone floral pattern print. The men’s collection is completed with a rich and varied assortment of camouflage bags and backpacks ranging from the city rider model to the military-inspired larger size backpack, ideal for travelling or leisure. The women’s collection mixes the influences of the military, biker and rock worlds. The result is a gritty and engaging collection with romantic touches and details. The iconic New Eve bag extends its range of models and, in addition to the small and medium version with shoulder strap, introduces the shopper and Boston bag versions for everyday use. New Eve is also enriched with new fabrics and details with the exclusive denim and studded version as well as camouflage. The proposals for the SS18 continue with maxi bags, handbags and messenger bags in faux leather and pastels such as pale pink and dusty blue, in black and dove grey versions, or in laminated colours, and in the unfailing camouflage fabric. For sporty-chic style lovers there is also a college world-inspired range with plain or two-colour shoppers, handbags and clutch bags with contrasting bands, and shoulder straps with the Replay logo. The summer season is dominated by denim, with a wide range of bags and backpacks made from recycled denim trousers and jackets. A new version in laminated pink gold denim is also available for the more daring fashionistas. Finally the SS18 women’s collection is completed with ethnic-inspired bags and accessories in dark brown distressed leather or jacquard fabric. Replay’s footwear for Spring and Summer 2018 blends perfectly with the main collection. The world of navigation is reinterpreted by Replay with deconstructed footwear featuring a distressed finish obtained through special treatments and washes, such as the faded effect. The colours chosen for Moccasins, mid-cut boots and stringed shoes evoke the desert, combined with shades of grey and blue. The SS18 sneakers collection is enriched with a whole new range of shapes and fabrics. Always present is the leather model with inner sock in the Denim Hyperflex fabric, by now a permanent article in the men’s footwear collection. A concentrate of the brand’s identity, the “Style 901” sneakers are named after one of Replay’s iconic denim suits: in whitened suede and complemented with leather details, they are proposed in pastel colours such as yellow, blue and green. The sharp cut leather sneakers are also an original choice. The sport casual range is complemented by a premium leather line featuring fine leather and subjected to special treatments that create an increasingly urban look, as well as a more informal range of slip-on with patches and all-over floral prints. The last mood inspired by summer is interpreted in a range of trendy models including slip on and flat sandals with fabric or braided leather bands embellished with applique patches, all strictly Made in Italy. The women’s collection – just as the men’s collection – has three main sources of inspiration: the first is the Far West, the second a sporty casual look where sneakers play the leading role, and finally the quintessential summer look. The Far West theme is expressed to the full in the Texan model with its leather sole combined with fine materials, in colours ranging from honey to black embellished with rock-style studs. The entire collection is distinguished by the Japanese-style brocade effect embroideries that embellish all models from platform to wedge heels to the more classic shapes, merging perfectly with the sporty look. The key word is CUSTOMIZATION. Among the new proposals in the sneakers’ range is the satin model revisited also in the embroidered version. The embroidered logo in both denim and satin models is highly reminiscent of the 1980s. The summer range features sandals, slip ons, sabots, platforms and “birky” models, and is entirely produced in Italy using the finest leather. 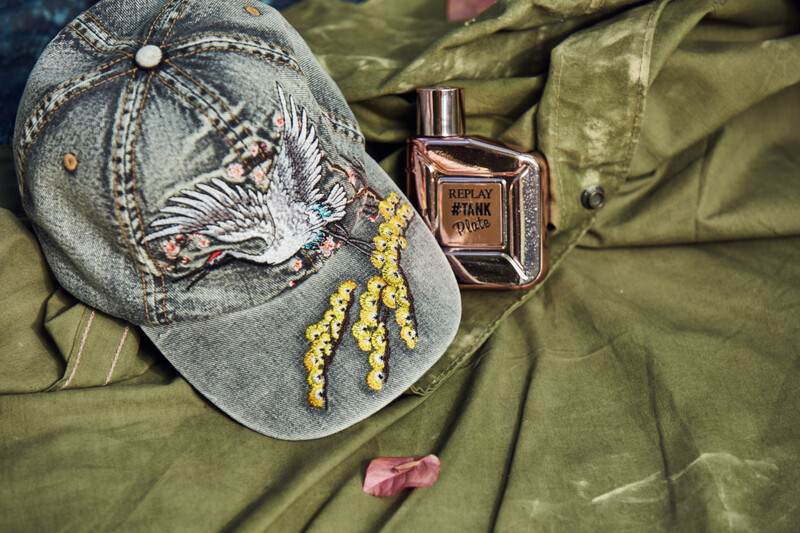 Rock-inspired details with Western-style studs and buckles abound, as well as “happy army” camouflage touches and colourful, fun patches. For the most feminine part of the collection there is also the heeled sandal in a denim version with coloured studs, or the sabot, a true must have for the SS18 proposed in a variety of shapes, from sporty to flat models. Among them stands out the denim platform with precious Japanese embroidery.